The installation is an eyecatcher, floating in the middle of ‘De Rijnhaven’ A paper boat, like many of us have folded when we were kids. A form that can be associated with boats, the sea and a harbour, but in reality it is a strange abstraction of a real ship. 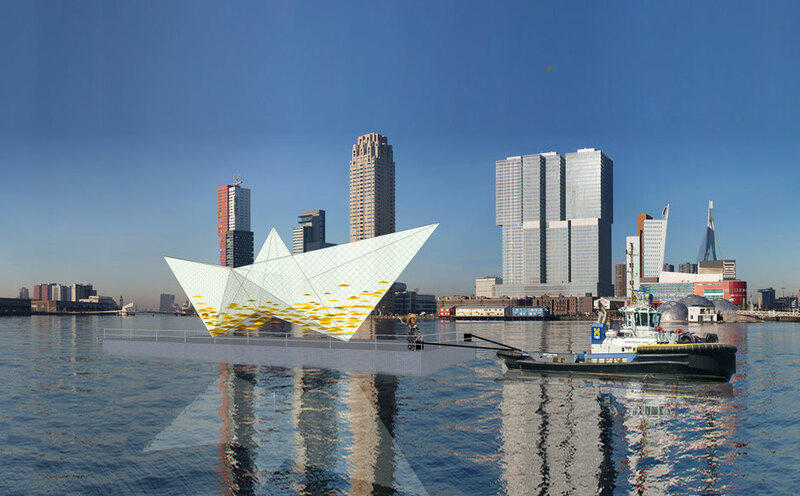 The icon of youth, playing, dreams and sealife in the Netherlands will float during the World Harbour Days in between the big ships of the harbour in Rotterdam. The difference with this paper boat is that it will be big enough to sail upon, which makes this boat the biggest paper boat in the whole world. 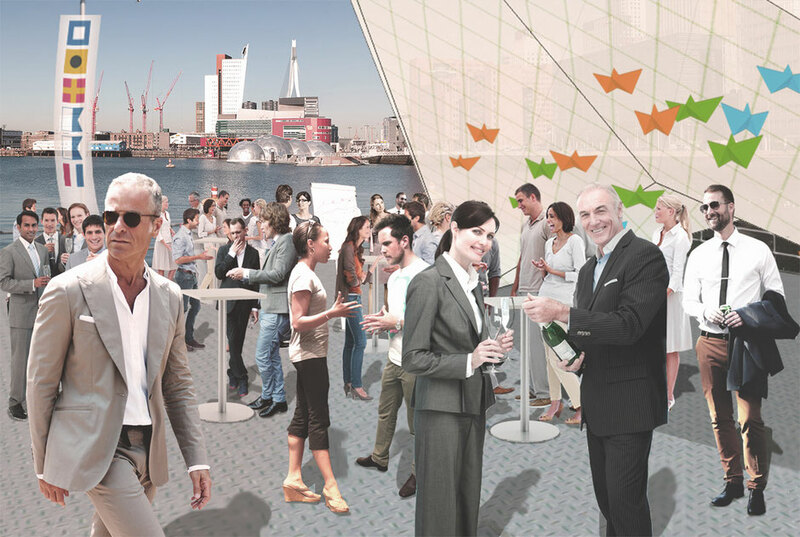 The goal is to amaze the visitors about the seafaring world in Rotterdam. The iconic form fits perfect to the seafaring in the Netherlands. 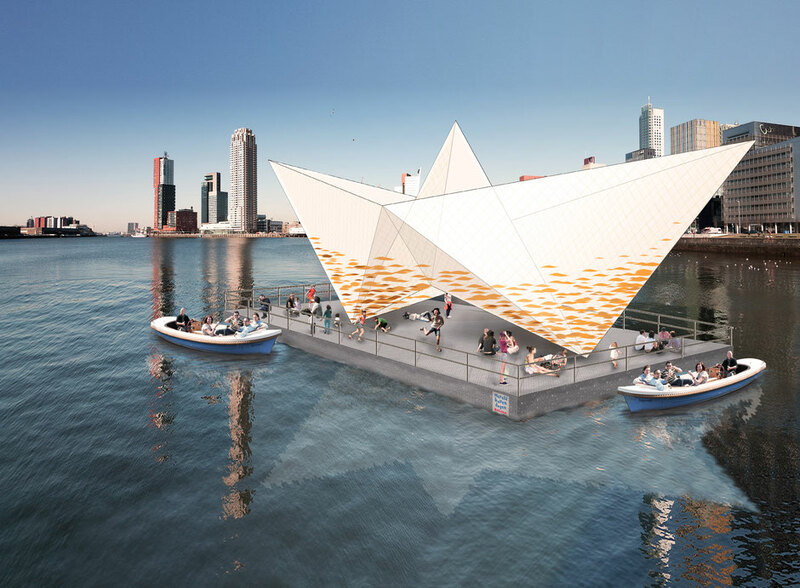 The paper boat formed the start of the process which became this art installation. It is the beginning of dreaming and fantasising. As kids we create imaginairy images about the sea and adventures, as adults we mostly remember good times.